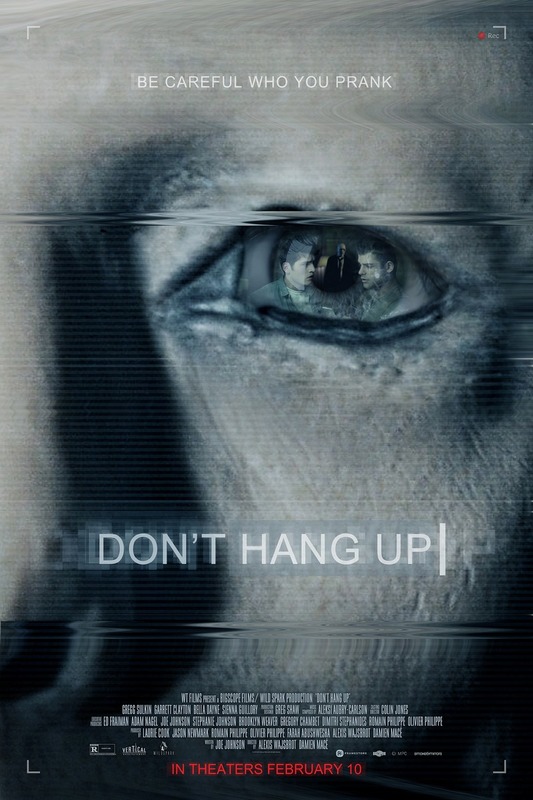 Don't Hang Up DVD release date was set for April 4, 2017 and available on Digital HD from Amazon Video and iTunes on February 10, 2017. Like many teenagers with too much time on their hands do, Sam, Brady, and Mosley spend their time making prank phone calls. They post the crude and unusual encounters with their unsuspecting victims online for the whole internet to enjoy. Trying to prank the wrong person and pushing them too far, the boys find themselves on the other side of the joke. Their night of mischievous fun turns into a bloody nightmare as the unknown prankster concocts a prank of his own.